Your skilled and experienced dentist in Palm Beach Gardens. Dr. Rudnick has been in private practice since 1996. He uses this experience to provide a high level of quality dental care to each guest of Rudnick Dentistry. He can offer a variety of solutions thanks to his many hours of advanced training and continuing education focused on cosmetic dentistry, TMJ/neuromuscular dentistry, and dental implants. His broad spectrum of knowledge means he is your number one choice for dentistry in Palm Beach Gardens, Jupiter, West Palm Beach, and the surrounding areas. Your dentist in Palm Beach Gardens has been awarded many accolades for his efforts and enjoys memberships at the most prestigious dental institutes. Dr. Andrew Rudnick can help you and your family enjoy the dentist again while achieving optimal oral health. Dr. Rudnick is a participating member of the American Academy of Cosmetic Dentistry’s Give Back a Smile (GBAS) program. This wonderful foundation assists many individuals who have suffered injuries due to domestic or sexual violence to restore their smiles and boost their confidence. Experienced and skilled dentists like Dr. Rudnick provide restorative dentistry to GBAS recipients so they can lead happier and healthier lives. 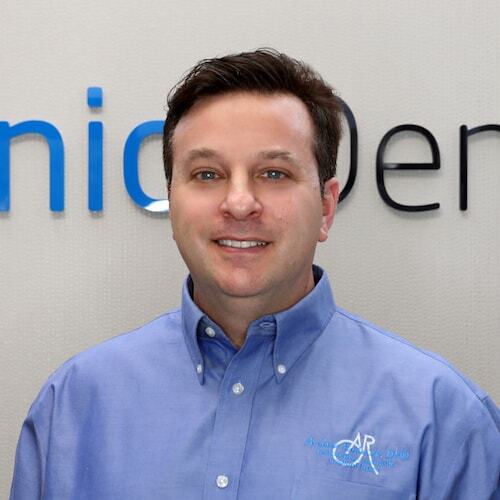 Dr. Rudnick has both the honor and privilege of being trained at one of the world’s leading dental institutes. The Las Vegas Institute for Advanced Dental Studies provides experienced dentists with the ability to receive world-class comprehensive and hands-on instruction. The courses are led by the best dental educators in the world and teach LVI dentists how to uses modern proactive and conservative techniques. Graduates of the institute deliver patients a phenomenal level of care focused on enhancing function and quality of life through unparalleled dental training. Our patients feel the LVI difference in all aspects of care, from OUR empathetic and personal approach to the meticulously implemented touches for a perfect smile. As an LVI fellow, your Palm Beach Gardens dentist has received the most advanced training available to modern dentists. He is fully trained in complex full mouth restoration cases, occlusion, dental implants, sleep apnea and TMJ. He approaches each treatment by using first-rate techniques and state-of-the-art technology. It only takes a few clicks to book with us. Meet the team behind the dentist.